The pedestal sundial was erected in 1819. It had the name of the maker (W. Leigh, Newton), and the latitude and longitude, but the markings became illegible. 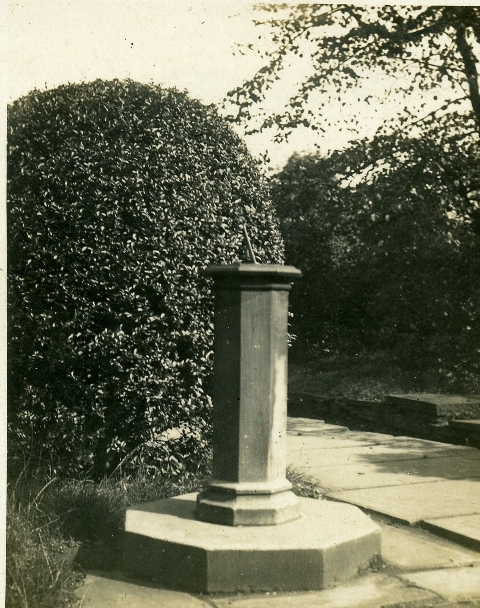 The pillar was brought from Westhoughton Chapel. The brass sundial itself was stolen in the 1990's at a time that many ecclesiastical artefacts were in great demand in America. It is however possible that it was just stolen for its scrap value.